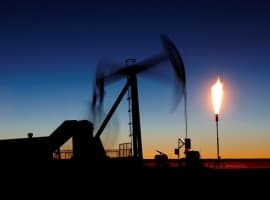 Oil prices continued to fall this week on ample supply and signals from OPEC members Saudi Arabia and Kuwait that they can deal with lower prices and are unlikely to reduce output. On Monday, Brent crude futures dropped further to $87.74 a barrel—the lowest level since December 2010--while WTI futures were down to $84.68 a barrel. Saudi Arabia, for its part, has suggested it could handle $80/barrel prices. On Tuesday, Brent crude prices slipped further, to $87.03. Kuwait has also said that it will not be cutting output and predicted prices falling to as low as $76 a barrel before winter sets in and prices start to rise again. The next OPEC meeting is scheduled for 27 November, when the organization will consider targets for 2015. But it’s not about whether high oil prices or low oil prices are good—it’s about maintaining the proper balance (as is everything). 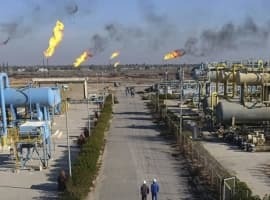 When oil prices fall below $100 a barrel, the OPEC countries have a hard time balancing their budgets, which are largely dependent on oil revenues. There has also been some confusion in the ranks this week, with Saudi Prince Alwaleed bin Talal al-Saud publishing an open letter on his website expressing disbelief at media reports that Saudi Arabia would allow oil prices to fall below $90 a barrel. 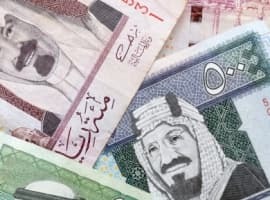 The Prince--most fondly known for dwarf-tossing parties and his investments in Apple, Time-Warner, and News Corp.--warns that 90% of Saudi Arabia’s budget is reliant on oil revenues and that a continued fall in prices would be catastrophic. In the meantime, OPEC-member Venezuela has been on the other side of the output-cut divide, calling for an emergency meeting of the group to respond to falling prices. But Kuwait and Saudi Arabia aren’t budging. The ample supply is largely due to surging production from Russia and the US, and the American shale boom has been threatening to overtake Saudi Arabia’s own output. With this in mind, Saudi Arabia has less incentive to reduce output to boost prices. Back at the pump in the US, the falling oil prices are cause for celebration, though. This week, the average retail price of gasoline fell 0.9 cents a gallon to $3.177—the lowest since February 2011--according to AAA. Overall, gas prices have fallen more than 50 cents this year. In many states, prices have dropped below $3 a gallon, with Missouri coming in the lowest at $2.877 a gallon on average, as of this week. Experts predict that up to 30 US states could see gas prices fall under $3 a gallon in the coming weeks. But it is unclear how long the party will last. 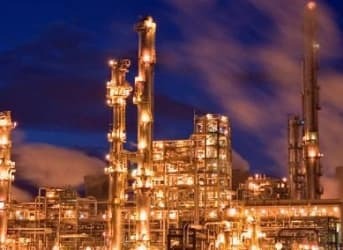 Several major investment banks predict the decline in oil prices will soon come to a halt, with a likely floor price of around $80 per barrel. The rebound could already be underway, with both WTI and Brent trading in positive territory after hitting lows on Thursday. WTI briefly dropped below $80 per barrel. But oil was back up on Friday after Goldman Sachs said that oil markets are not oversupplied. “Prices have likely overshot to the downside,” the bank wrote in a research note. Two days of advances allowed WTI and Brent to regain some lost ground, despite a third consecutive week of falling prices. WTI was up 42 cents to $83.12 in intraday trading on Friday, and Brent picked up 12 cents to reach $85.94. This week’s report (below) is written by one of our traders Jim Hyerczyk, from Inside Markets and takes a detailed look at the crude oil and natural gas markets. This is a must read if you who wish to see what could happen next week in the markets. Quick Note: What a depressing week this has been for the energy markets and for those of you nursing losses I think you may be very interested in hearing what our trader Martin Tillier has to say in this week’s Inside Opportunities where he looks at how successful traders deal with losses and how they move on from them. We also have a great piece from Dan Dicker on how he is playing these market moves. Read both these pieces for free by clicking here. As in 2010, lower oil prices will cause a new energy crisis. - When oil is cheaper, oil demand rise faster. In 2010, global oil demand rose by 2.7 million barrels per day. The second-largest increase since 1978. - When oil is cheaper, oil companies cut back on spending. Already, some oil companies are giving up on drilling in the Arctic. In Norway, oil companies including Statoil ASA , Bilfinger SE and Aibel AS have said they may cut as many as 5,000 jobs.